Madison Pharmacy specialized in servicing Assisted Living Residents. Our reputation speaks for itself. We can accommodate any resident’s prescription needs whether they are self-medicators or if they require unit-dose packaging. We are always available by phone or in person to discuss any of the services we offer or to answer any medication questions you may have while caring for your loved one. Our unit-dose packaging is New Jersey compliant. We also offer numerous patient compliance programs and patient compliance packaging options to help avoid missed doses. Examples of these can be seen under the services tab. These are all offered free of charge and we have samples available for pick up at our pharmacy. We accept all Rx insurance plans and also offer an in-house prescription discount plan when needed. When requested we can work with you and your doctor to explore options to keep prescription costs down. 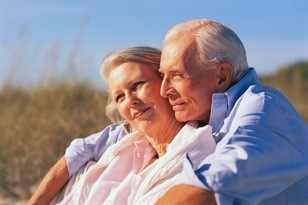 We can even help you decide on a Medicare-D plan when the time is right. Madison Pharmacy delivers to each Assisted Living Facility multiple times a day, so there is never a delay in receiving your medications. We also have a full line of walkers, wheelchairs and other durable medical equipment ready for delivery. We can also deliver any health and beauty aids you may request as well as any incontinent supplies. All these services are just a phone call away.